So you have set up your own Weebly website, congrats! We hope that you have a fantastic time while reaching your goals online, and that your experience is going to be nice and easy. If it’s the very first time you’re starting a website, though, some things might seem difficult. To make it easier for you, we’ve prepared a tutorial that answers the question how to do one thing that you’ll probably have to do at one point or other. 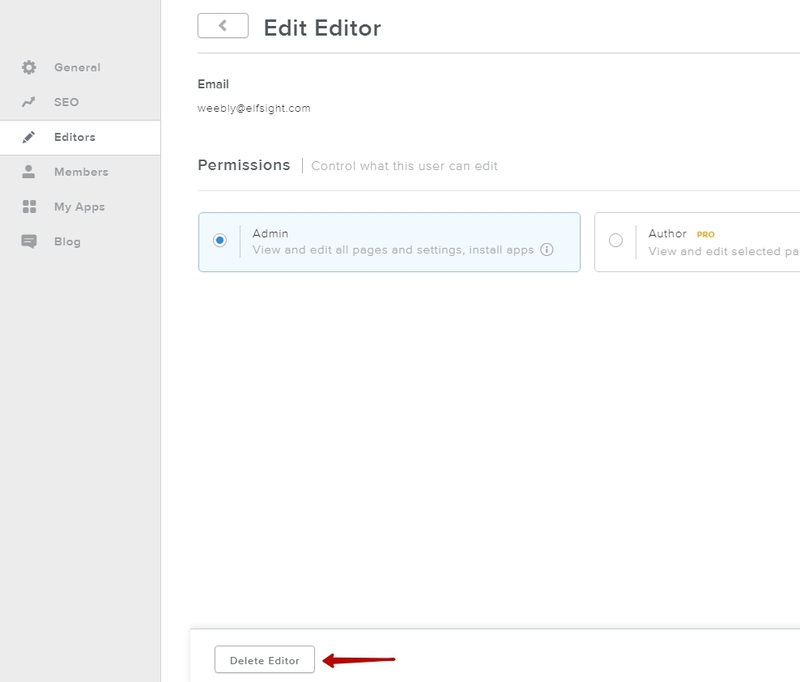 That question is – how to share access to your Weebly website? There’s a variety of situations when you might need to invite someone else to work on your website. Your online business will get so successful, that you’ll need to add more members to your team. Or, if it’s your personal blog, you might ask a friend to help you with it. Or, if you’ve installed some apps, you might need to ask their developers to step in and help you with installation or setup. So it is best to learn how to share the access early on. Fortunately, it is really simple. 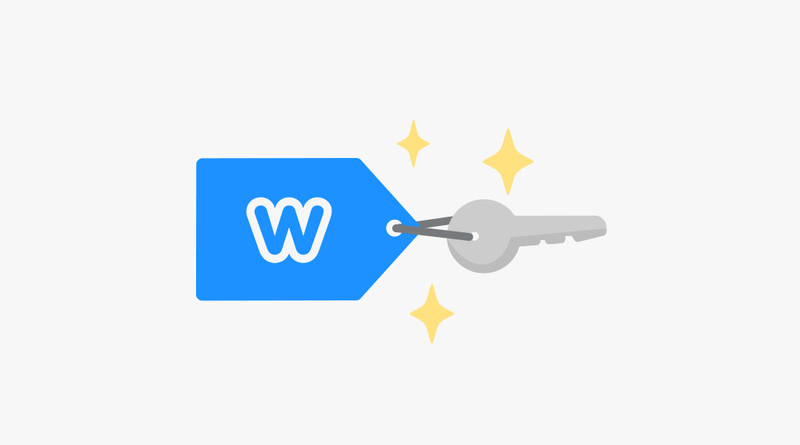 As you know by now, Weebly offers several payment plans – Free, Starter, Pro and Business. Depending on your payment plan, you can limit the kind of access you provide to other people. 1. Admin access is the one selected by default. 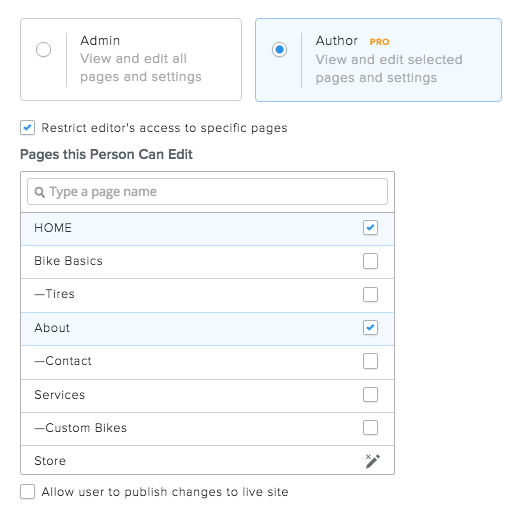 Admin gives you complete access to and full permissions for the site in question. The subscribers of Free and Starter plans can only provide Admin access, while the subscribers of Pro and Business plans can also provide author or dashboard only level access. That was quick, wasn’t it? 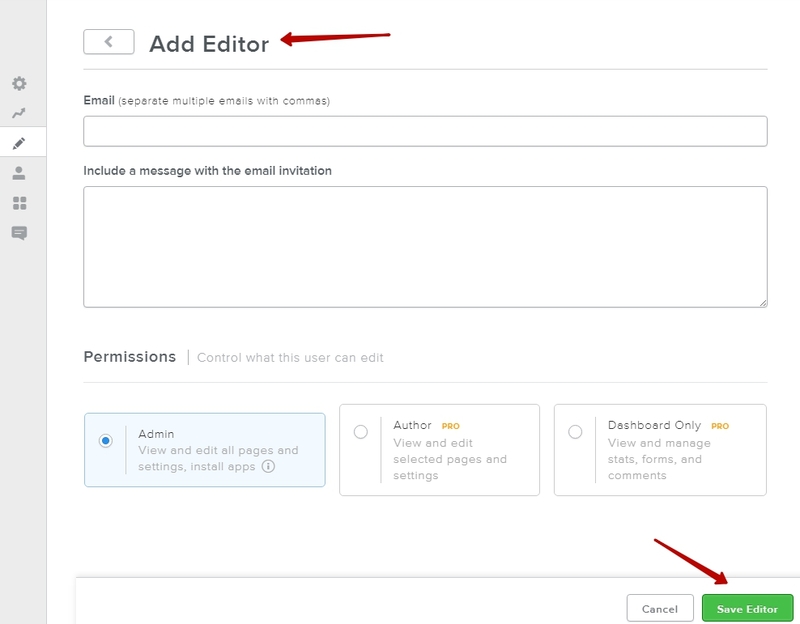 The people you’ve invited will get an email message with a link they’ll need to follow to become your website’s editors. If a person no longer requires the access you’ve given them, you can cancel the access by deleting that person as your website’s editor. 3. Confirm deleting the editor in the dialogue window that comes up, and you’re done! You might feel some misgivings when it comes to sharing access to your website with other people. Sharing it with friends and members of your team is one thing, but when it comes, for instance, to sharing it with some app developers, this is quite different. After all, by providing full admin permissions, you do provide access to some sensitive information or the particulars of your business transactions. It would be quite impossible to give a universal answer to the question of safety. As app developers, we know that sometimes we can’t help a customer set up an app or fix a technical issue or a conflict with another app without getting the full access. We need it to look inside your website, to see what’s going on and to advise you in the best possible way. As we value our business reputation and take pride in our work, we are always extra careful with our customers’ websites. Over the whole period of time that we’ve been providing support to our Weebly customers by requesting access to their websites, we haven’t had a single unpleasant incident. We take every precaution against any possible loss of data. So in our case you can be sure that giving us admin access to your website is sometimes the only way to have an issue fixed, and that you needn’t worry about the safety of your information. We hope that we’ve given you sufficient information and explained all the points well. In case anything else remains unclear, you’re welcome to send us an email or start a conversation in our ticket system. We’ll be looking forward to hearing from you!